What is the History Behind Lalique? In the world of glass art and luxury, the name Rene-Jules Lalique stands out. He’s the man behind the creation of Lalique glass. It had humble beginnings in Paris in the late 1800s. Today, Lalique glass and chandeliers can be found in homes, offices, and museums across the globe. Despite its popularity, many people do not know how Lalique glass got started and how it has become what it is today. 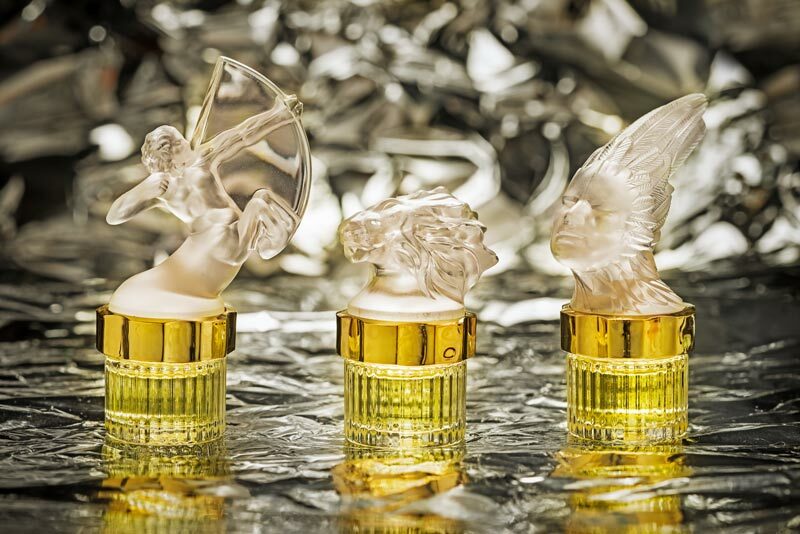 Read on to learn more about the history behind Lalique. Rene-Jules Lalique’s passion for jewelry design began in Paris in 1881. He made a name for himself because of his unique jewelry. But his willingness to explore new forms of art helped him begin experimenting with glass just two years later. When he began designing glass, Lalique used “lost wax” casting to create his work. “Lost wax” casting is a technique where the designer makes a model in wax while also making a mold around the model. After the mold is finished cooling, the wax is melted and glass is poured into the mold. This was how many of his earliest glass pieces were created. It resulted in a rise in popularity and a world of opportunity for Lalique. As the demand for Lalique glass increased, he redesigned his factory in 1905. This expansion allowed him to create larger quantities of glass pieces while still being unique. By 1909, his success as a glassmaker led to the opening of a glassworks facility in Combs-la-Ville, France. As Lalique gained popularity, he also began to explore new forms of glass art. Lalique created a variety of glass objects, such as vases, bookends, and perfume bottles, among others. Lalique received many offers for commissioned work because his pieces were synonymous with luxury. In 1929, he was chosen to use his work to decorate the carriages of the Cote d’Azur Pullman Express. This French deluxe train ran from 1929 until 1939 and was adorned with crystal and other glassworks created by Lalique. In 1935, Lalique designed the chandeliers and light columns for the French luxury ship, the Normandie. Some of Lalique’s pieces can be found on display in museums throughout the world. The business has grown over the years under the leadership of different members of the Lalique family. After Rene’s death in 1945, his son, Marc, took over the family business and began to design crystal pieces. The crystal work was a success, but the business would continue to evolve with the times. In 1977, Marc’s daughter, Marie-Claude, took over operations of Lalique glass. She kept true to her family’s name as she ushered in a new era for the company. Under her leadership, Lalique began to develop fragrances and design more jewelry. What began as one man’s passion for jewelry design in the late 1800s has developed into one of the most well-known names in the world of design, glass, and jewelry. Today, Lalique is synonymous with unique glassworks and luxury crystal decorative pieces. It also continues to offer high-end fragrances and has even opened a museum, Musee Lalique, to honor its founder. Check out our wide selection of Lalique wall scones and chandeliers for your home or office. Paul Stamati Gallery specializes in 20th Century decorative arts and is the world’s leading source for Art Deco lighting by Lalique.